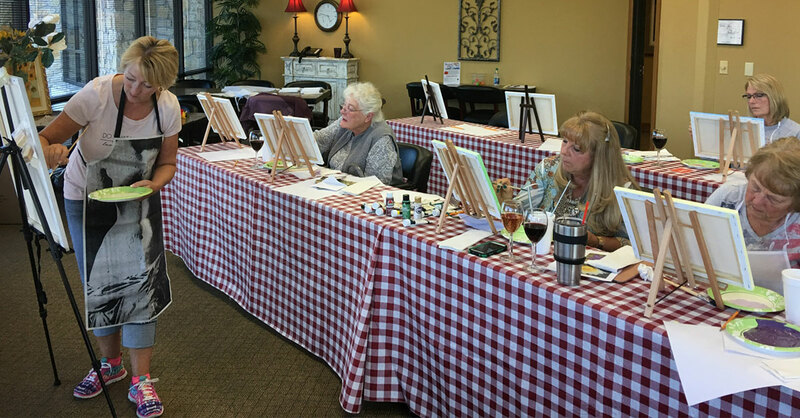 The Branson Regional Arts Council is excited to announce return of a new painting event called “Art Class by the Glass,” to be held at Mount Pleasant Winery in Branson, Missouri. 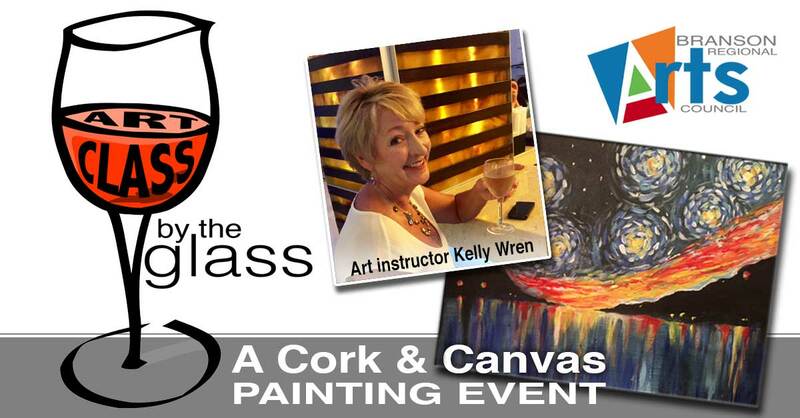 This “Cork & Canvas” type event is scheduled for Saturday, October 20, 2018 from 3pm – 5pm. The $30 registration fee (per person) includes all painting supplies and direction to create the “Starry Night” painting seen above, and one glass of wine, courtesy of Mount Pleasant Winery. Additional wine servings available.